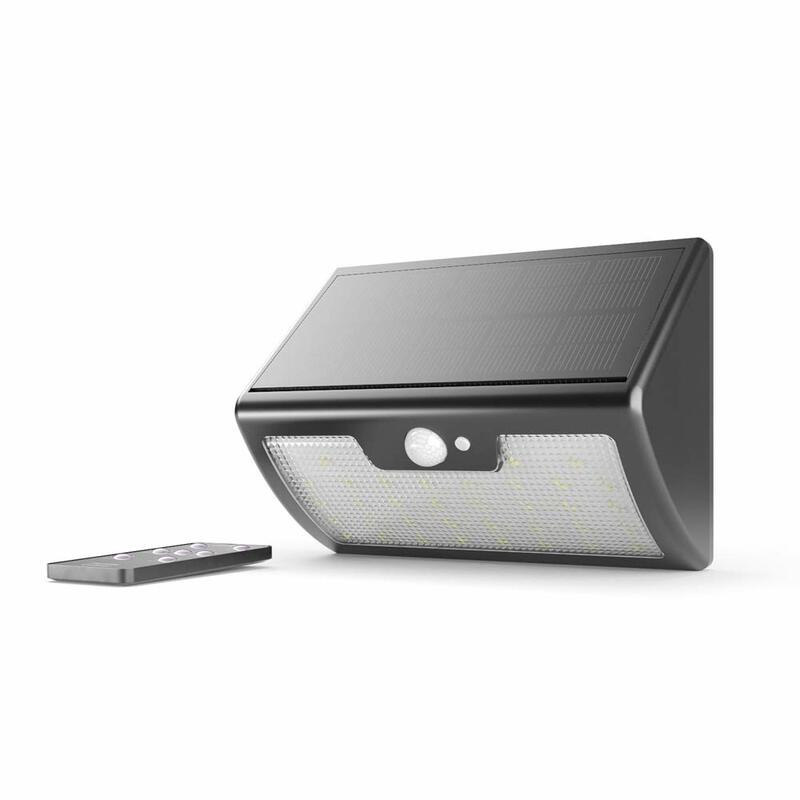 The remote controlled Eco Wedge Plus offers unprecedented power and versatility from a compact self-contained solar light. Multiple lighting modes - use your light the way you want to. The Eco Wedge has completely surprised me on how well it actually lights up the area I have installed it. It seems to take a charge even on dull cloudy days and operates automatically as it should. In addition to the product the delivery from The Solar Centre was very quick. I didn't pay for the next day service but it still arrived the next day. Very happy with the Eco Wedge and The Solar Centre. The Eco Wedge is performing well although it was bought and set up in the winter. Very pleased that it can be turned off to avoid casual passers-by draining the charge. The Solar Centre provided helpful advice when placing my order. This 40 SMD high powered solar light packs a powerful 750 lumen punch that is backed up by a high density solar panel and 6m detection range. 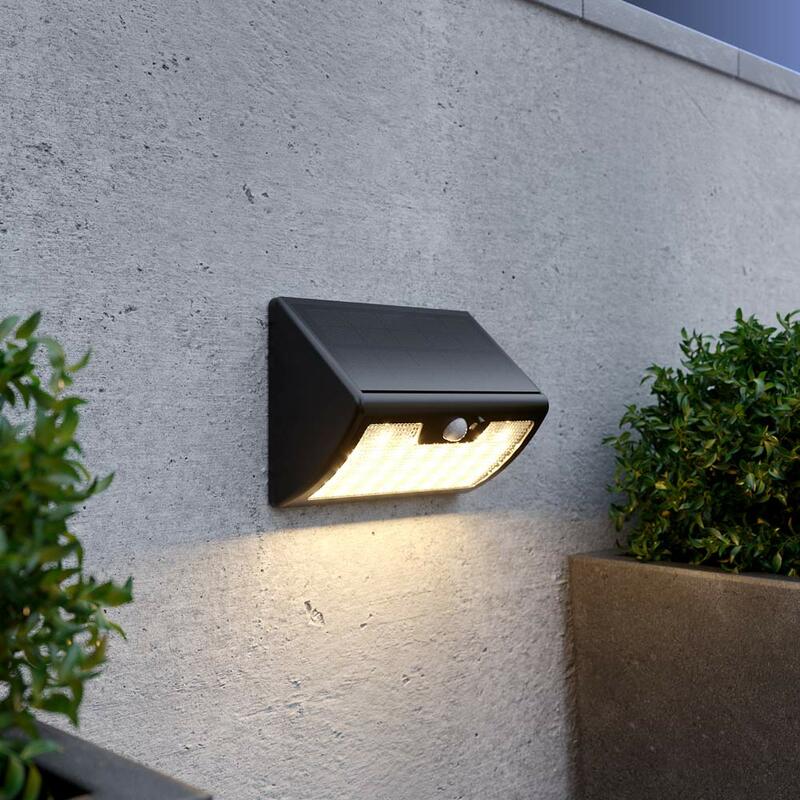 The Eco Wedge Plus is the only light in the Eco Wedge range to offer warm white light output making it ideal for those that prefer a light colour similar to traditional halogen security lights. The Eco Wedge Plus can also be operated by motion sensor on demand via remote control and can provide constant light from dusk till dawn. The Eco Wedge Elite is ideal for lighting doorways, alleyways, entrances and pathways. The Eco Wedge Elite is IP65 rated for superior waterproofing. A low light is emitted after dusk. When motion is detected the lamp activates and reverts to low light approx 15 seconds after motion stops. When motion is detected after dusk the lamp activates and turns off approx 15 seconds after motion stops. Recommended for Winter use or if the light is installed in a substandard location. After dusk the lamp illuminates and turns off after it runs out of charge or 10 hours, whatever comes sooner. After dusk the lamp illuminates, then after 3 hours, or when the battery is low, the lamp will automatically switch to Mode 2. The lamp will illuminate for 1 hour, even if it is still daylight. The lamp will illuminate with flashing blue and red lights for 1 hour, even if it is still daylight. Please note that modes 1, 2, 3 & 4 will only work at night. Please note we don’t recommend Modes 1, 3 & 4 for winter use or if the light is installed in a substandard location. This is because they cause significant drain on the battery and the charge received by day may be less than what is drained at night. 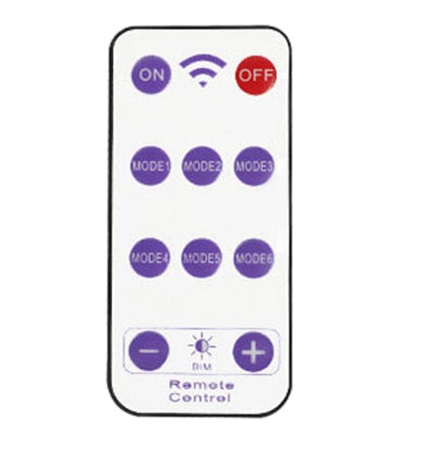 Yes, you can use the on/off options on the remote control and use modes 4/5 depending on how bright you'd need the lights. Yes, the remote has an off/on button. There is a push button next to the sensor. It is not mentioned in the instructions. What does it do e.g. On/Off. I put the unit up 5 days ago but nothing happens. No indicator light etc. Unit seems dead. Remote control plastic tab removed but does not activate lamp. From the instructions: "Press the ON button to turn the lamp on - it will default to mode 1 or the previously selected mode. Press the OFF button to turn the lamp off"